“This study was done in accordance with the WHO safe abortion guidance, which recommends that abortion should be simplified to improve access,” write the authors of the article, published last week in The Lancet. C-Fam released a briefing paper criticizing the WHO technical guidance, which claims that abortion is safer than childbirth and a human right, neither of which enjoys international agreement, and argues in favor of substandard abortion practices that put women’s health at risk. The Lancet study tracked two groups of Northern European women who underwent a first-trimester chemical abortion: one group returned to the clinic for a follow-up appointment and the other group performed a “self-assessment” using a home pregnancy test to determine whether the abortion had been successful. The authors concluded that the home test was “non-inferior” to the clinical test, although the home tests did fail to identify three continuing pregnancies that were later ended with second-trimester abortions. The study participants lived in Austria, Finland, Norway, and Sweden, which are wealthy countries with easily accessible, high quality health care. Potential participants were excluded if they showed signs of ectopic pregnancy or other pregnancy abnormalities, if they were under 18, or if they had a potential language barrier. The authors considered the home follow-up tests to be especially useful for “resource-poor settings . . . where access to abortion services and ultrasound examination might be limited.” They did not offer insights into how women at higher risk of complications – such as those excluded from the study – should be handled in resource-poor settings, particularly if they were discouraged from making a follow-up appointment at a clinic or if emergency medical services were not readily available if problems arose. 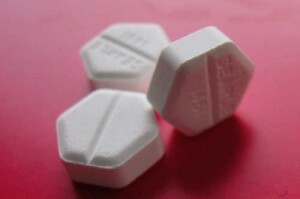 As a greater percentage of abortions are performed by pills instead of surgery, pro-abortion groups are increasingly urging that abortion be “demedicalized,” shifting it from doctors to lower-level health care providers and even to the patients themselves, as a way to get around legal and institutional barriers, including those enacted to protect women’s health. The lead authors of the study are based in Sweden’s Karolinska Institute, and work in close collaboration with the WHO on issues of reproductive medicine research. In that capacity, they jointly create the widely-accepted global standards for health practices and perform the studies used to justify them. The research group includes Dr. Rebecca Gomperts, founder of the Dutch organization Women on Waves, which distributes abortion pills and instructions in countries where abortion is illegal. They include directions for seeking emergency medical care when complications occur, and how to lie to doctors to hide critical information.